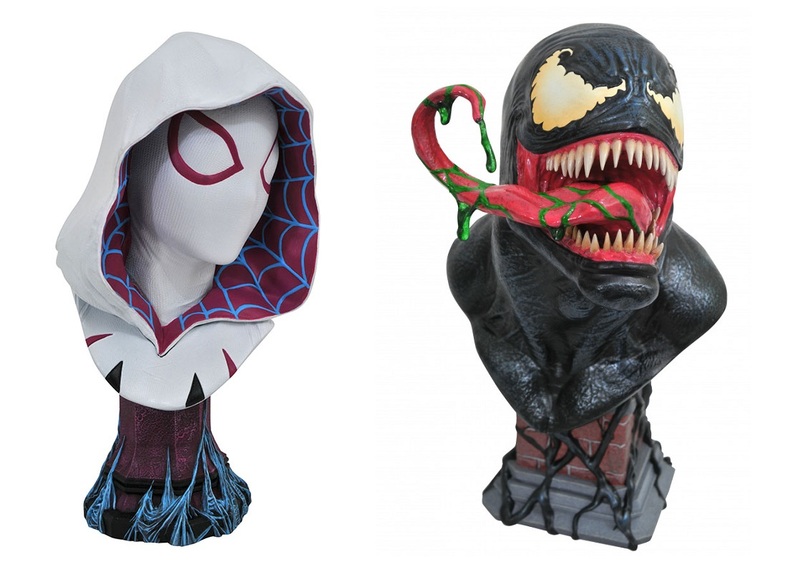 Diamond Select Toys and Legends in 3 Dimensions continue their amazing line of colossal half scale busts of pop culture icons with two Marvel Comics release, Venom and Spider-Gwen! These 10” resin busts of these Spider-Man characters look fantastic. Spider-Gwen comes atop a webbed-up pillar base, while Venom comes drooling with his insanely huge tongue sticking out! Each Marvel ½ scale bust is limited to just 1,000 pieces and comes packaged in a full-color, hand numbered box with a certificate of authenticity. Collectors can pre-order these amazing collectible now at Entertainment Earth for $134.99 (plus free shipping) here.